Executive Editor, Chinese(Taiwan) Review of International and Transnational Law. Yann-huei Song (2019). “Potential Sources of Tension in the South China Sea: Competition and Confrontation between China and the United States,” Marine Affairs and Policy Review, 7(1), pp. 161-214. Yann-huei Song (2018). “The July 2016 Arbitral Award, Interpretation of Article 121(3) of the UNCLOS, and Selecting Examples of Inconsistent State Practices,” Ocean Development and International Law, 49(3), pp. 247-261. Yann-huei Song (2017). “U.S. Practice Regarding Article 121(3) of UNCLOS and the South China Sea Arbitration Case,” Chinese (Taiwan) Yearbook of International Law and Affairs, 33, pp. 21-61. Yann-huei Song (2016). "Peace, Cooperation and Maritime Security Initiative in the East Asian Seas: A Study of Proposals' Content, Progress and Achievements," TEKA of the Commission of Political Science and International Affairs, 11(1), 45-70. Yann-huei Song (2015). “Legal Status of Taiping Island under the United Nations Convention on the Law of the Sea,” Korean Journal of International and Comparative Law, 3, 115-138. Yann-huei Song (2011). “The Declaration on the Conduct of Parties and a Code of Conduct in the South China Sea: Recent Actions Taken by ASEAN,” Asia-Pacific Forum, 52, 1-54. Yann-huei Song (2010). “The Application of Article 121 of the Law of the Sea Convention to the Selected Geographical Features Situated in the Pacific Ocean,” Chinese Journal of International Law, 663-698 (SSCI). Yann-huei Song(2009). “Security in the Strait of Malacca and the Regional Maritime Security Initiative: Responses to the US Proposal. In Global legal challenges: command of the commons, strategic communications, and natural disasters,” International Law Studies, 83, 97-156. Yann-huei Song (2008). “The Policy Implications of President Chen’s Historic Visit to Taiping Island and His Spratly Initiative.” Taiwan Perspective, Issue No. 119, pp. 1-5. Yann-huei Song (2007). Prompt Release of Fishing Vessels: The Hoshinmaru and Tomimaru Cases (Japan v. Russian Federation) and the Implications for Taiwan. Chinese (Taiwan) Yearbook of International Law and Affairs, 25: 1-28. Yann-huei Song (2007). "Potential Marine Pollution Threat from Oil and Gas Development Activities in the Disputes South China Sea/Spratly Area: A Role for Taiwan,” Asia-Pacific Forum, 2007, Vol. 36, pp. 63-111. Yann-huei Song (2006). The Competition for Oil and Energy Resources among China, Japan and the United States. Views & Policies—Taiwan Forum, 3, 1: 77-116. Yann-huei Song (2004). “An Overview of Regional Responses in the Asia-Pacific to PSI,” in Countering the Spread of Weapons of Mass Destruction: the Role of the Proliferation Security Initiative. A Review of the Work of the Council for Security Cooperation in the Asia-Pacific International Working Group on Confidence and Security Building Measures. Issues and Insights 4(5): 7-31. Yann-huei Song (2004).“Acceptance of Selected International Maritime Instruments in the Asia-Pacific Region,” Indonesian Quarterly 31(4): 450-483. Yann-huei Song (2004). “The M/V Amorgos Oil Spill Incident: Liability for Pollution Damages, Taiwan’s Compensation Claims, and the Law Applied,” Chinese (Taiwan) Yearbook of International Law and Affairs 20: 1-25. Yann-huei Song (2003).“The South China Sea Declaration on the Conduct of Parties and Its Implications: Taiwan`s Perspective,” Maritime Studies 129: 13-23. Yann-huei Song (2003). “The Overall Situation in the South China Sea in the New Millennium: Before and After the September 11 Terrorist Attacks,” Ocean Development & International Law 34: 229-277. Yann-huei Song (2003). “The EP-3 Collision Incident, International Law and Its Implications for the U.S.-China Relations,” Chinese Yearbook of International Law and Affairs 19: 1-15. Yann-huei Song (2001). “The PRC`s Peacetime Military Activities in Taiwan`s EEZ: A Question of Legality.” The International Journal of Marine and Coastal Law 16(4): 625-643. Yann-huei Song and Keyuan Zou (2000). “Maritime Legislation of Mainland China and Taiwan: Developments, Comparison, Implications, and Potential Challenges for the United States,” Ocean Development and International Law 31: 303-45. Yann-huei Song (2000). “Codes of Conduct in the South China Sea and Taiwan`s Stand,” Marine Policy 24: 449-59. Yann-huei Song (1999). “China`s Missile Tests in the Taiwan Strait: Relevant International Law Questions.” Marine Policy 23(1): 81-102. Yann-huei Song (1998). “Common Fisheries Policy of the European Union: Restructuring the Fishing Fleets and the Financial Instrument for Fisheries Guidance.” International Journal of Marine and Coastal Law 13(4): 537-577. Yann-huei Song (1998). “The Convention on Biological Diversity: United Participation. Signature. and Pending Ratification.” EurAmerica: A Journal of European and American Studies 28(1): 1-90. Yann-huei Song (1997). “Comments on Mr. Christopher J. Carr`s Presentation.” Ecology Law Review 24(4): 861-64. Yann-huei Song (1997). “The U.S. Policy on the Spratly Islands and the South China Sea.” The Indonesian Quarterly 25(3): 316-34. Yann-huei Song (1997). “The Canada-European Union Turbot Dispute in the Northwest Atlantic: An Application of the Incident Approach,”Ocean Development and International Law 28: 269-311. Yann-huei Song (1995). “International Law and Settlement of the Spratly Islands Dispute: Further Studies Are Needed.” L.S.I Professional Newsletter. #40. 6(8): 2-4. Yann-huei Song (1995). “EC`s Common Fisheries Policy in the 1990s.” Ocean Development and International Law 26: 31-55. Yann-huei Song and Peter Kien-hong Yu (1994). “China`s 〝Historic Waters〝 in the South China Sea: An Analysis from Taiwan” The American Asian Review 7(4): 83-101. Yann-huei Song (1994). “The CFP and EC Integration.” L.O.S. Lieder. #34. 6(2): 9-11. Yann-huei Song (1993). “Economic Sanctions: Instrument of U.S. Driftnet Policy.” L.O.S. Lieder. #32 5(9): 4-5. Yann-huei Song (1993). “United States Ocean Policy: High Seas Driftnet Fisheries in the North Pacific.” Chinese Yearbook of International Law and Affairs 11: 201-74. Yann-huei Song (1993). “A Pathfinder on the Law of the Sea and Marine Policy.” Ocean Development and International Law 24: 205-35. Yann-huei Song (1990). “Marine Scientific Research and MarinePollution.” Ocean Development and International Law 20: 601-21. Yann-huei Song (1990). “China and the Military Uses of the Ocean.” Ocean Development and International Law 20: 213-235. Yann-huei Song (1990). “Shipping and Shipbuilding Policies in PR China.” Marine Policy 1990: 53-70. Yann-huei Song (1989). “China`s Ocean Policy: EEZ and Marine Fisheries.” Asian Survey 19(10): 983-998. Yann-huei Song (1988). “The British 150-mile Fishery Conservation and Management Zone Around the Falkland (Malvinas) Islands.” Political Geography 7(2): 183-196. Yann-huei Song (2018). Peace through Joint Maritime and Cruise Tourism in the South China Sea: A Potential Spotlight in Regional Cooperation?. Paper presented at “Forty-second Annual Conference of the Center for Oceans Law & Policy: Cooperation and Engagement in the Asia Pacific Region,” May 23-26, Beijing, China. Organized by The Center for Oceans Law and Policy, University of Virginia School of Law; National Institute for South China Sea Studies; Chinese Society of International Law; Korea Maritime Institute. Yann-huei Song (2018). Peace through Joint Maritime and Cruise Tourism in the Disputed South China Sea Islands: Opportunities and Challenges. Paper presented at “Berkeley-Cambridge Workshop on Maritime Asia,” May 14-15, Berkeley, USA. Organized by UC Berkeley. Yann-huei Song (2018). Conflict Sources and Tensions in the South China Sea. Paper presented at “East Asia Peace Forum,” March 3-4, Taipei. Yann-huei Song (2017). The July 2016 Award, Interpretation of Article 121(3) of the UNCLOS, and Selecting Examples of Inconsistent State Practices. Paper presented at “2017 Colloquium on International Law: Common Future in Asia,” July 7-8, Hong Kong, China. Organized by Asian Academy of International Law. Yann-huei Song (2016). The Arbitration Award and Implications for the Activities of Parties in the South China Sea. Paper presented at “The 8th South China Sea International Conference: Cooperation for Regional Security and Development,” November 13-15, Nha Trang, Vietnam. Organized by Diplomatic Academy of Vietnam, Foundation for East Sea Studies, Vietnam Lawyers' Association. Yann-huei Song (2016). Taiwan’s South China Sea Peace Initiative: The Proposal, Its Implementation, and Challenges Ahead. Paper presented at “AAS-in-ASIA 2016,” June 24-27, Kyoto, Japan. Organized by AAS. Yann-huei Song (2016). A Study of the Interpretation and Implementation of Article 121(3) of the 1982 United Nations Convention on the Law of the Sea by the United States. Paper presented at “International Conference on the South China Sea Dispute and International Law,” April 14, 2016, Taipei, Taiwan. Organized by Department of Law, College of Law, Soochow University. Yann-huei Song (2016). Lessons from Global Experience in Resolving Maritime Dispute. Paper presented at “Maritime Issues in the East and South China Seas”. January 12-16, 2016, Santa Monica, CA. Organized by Center for Asia Pacific Policy, RAND. Yann-huei Song (2015). U.S. Maritime Claim in the Pacific Ocean and Its Possible Encroachment on the Global Commons. Paper presented at International Symposium on “Global Commons and the Law of the Sea”. June 22-23, 2015, China, Hangzhou. Organized by Zhejiang University Guanghua Law School. Yann-huei Song (2015). Maritime Cooperation in the South China Sea: What Lessons Can We Learn From Other States Bordering Enclosed or Semi-enclosed Seas? Paper presented at “Boao Forum for Asia Annual Conference 2015” March 26-29, 2015, Boao, China. Organized by Boao Forum for Asia. Yann-huei Song (2014). The South China Sea Arbitration Case Filed by the Philippines against China: Arguments Concerning Low Tide Elevation, Rock, and Island. Paper presented at “2014 Asia Pacific Security Forum: The Dynamic Situation in East Asia and the Asia-Pacific Security” August 28-29, 2014, Hawaii, USA. Organized by Institute for National Policy Research、The Pacific Forum CSIS、Institute for Strategic and Development Studies、Asia Centre. Yann-huei Song (2014). The South China Sea Arbitration Case Filed by the Philippines against China: A Discussion on Possible Preclusion of the Tribunal’s Jurisdiction by the 2002 DOC and the Application of Article 281 of UNCLOS. Paper presented at “International Symposium on the Sino-Philippine Arbitration on the South China Sea Disputes: The Efficacy of the Annex VII Tribunal in Resolving Complex Territorial/Maritime Disputes” August 21-22, 2014, Beijing, China. Organized by National Institute for South China Sea Studies(NISCSS). Yann-huei Song (2014). “Implementing the DOC: What Lessons Can ASEAN and China Learn from Canada and the United States?” paper presented at the “Implementing the DoC and Cooperation Mechanisms in the South China Sea” August 14-15, 2014, Haikou, China. Organized by National Institute for South China Sea Studies. Yann-huei Song (2013). Peace Initiative and Maritime Cooperation in the East China Sea. Paper presented at International Symposium on “Peaceful Use of the Sea and Maritime Cooperation”. June 22-23, 2013, China, Hangzhou. Organized by Zhejiang University Guanghua Law School. Yann-huei Song (2013). Recent Developments in the South China Sea: Taiwan’s Policy, Response, Challenges and Opportunities. Paper presented at CSIS Sumitro Chair for Southeast Asia Studies Managing Tensions in the South China Sea. 5-6 June 2013. Washington DC, USA. Organized by Center for Strategic and International Studies. Yann-huei Song (2012). Joint Conservation and Management of fishery Resources: A Way to Help Manage Potential Conflicts in the South China Sea. Paper presented at 2012 International Sea Lines of Communication conference, Maritime Security Cooperation in Asia-Pacific for Global Peace and Prosperity. 25-26 September 2012, Grand Hotel, Taipei, Taiwan. Organized by National Defense University. Yann-huei Song (2012). Submerged Geographical Features in the East and South China Sea: An Analysis of the Chinese Claims from the Perspective of the Law of the Sea. Paper presented at International Seminar on Geographical Features in the East Asian Seas and the Law of the Sea, 20-21 September 2012, Taipei. Taiwan. Yann-huei Song (2012). A Survey of Declarations and Statements Made by the Parties to the Law of the Sea Convention: 30 Years after Adoption. Paper presented at 7th Law of the Sea Institute Conference, “Securing the Ocean for the Next Generation,” 21-24 May 2012, Seoul. Yann-huei Song and Stein Tonnesson (2012). The Impact of the Law of the Sea Convention on Conflict and Conflict Management in the South China Sea. Paper presented at International Workshop on Securing Maritime Peace in East Asia: The Role of International Law, 23-24 April 2012, University of Central Lancashire, Preston City Campus, Preston, United Kingdom. Yann-huei Song (2012). The Declaration on the Conduct of Parties in the South China Sea: Its Implementation and Possibility of Taiwan’s Participation. Paper presented at the 70th Annual MPSA Conference, 12-15April 2012, Chicago, U.S.A.
Yann-huei Song (2012). The South China Sea Issue in the Development of U.S.-ASEAN Relations: 2009-2011. Paper presented at Workshop on the South China Sea Dispute” Political and Security Implications for the Region’s Future, 12-13 January 2012, CAPAS, Academia Sinica, Taipei, Taiwan, R.O.C. Yann-huei Song (2011). Jurisdictional Disputes in the South China Sea: Potential Conflicts between China and the United States. Paper presented at the Law of the Sea Institute Conference—The Limits of Maritime Jurisdiction, November 28~December 2, 2011. The Australian National Centre for Ocean Resources and Security, ANCORS, University of Wollongong, Australia. Yann-huei Song (2011). China’s Sovereignty and Maritime Claim in the South China Sea and Its Potential Impact on Maritime Security in the Asia-Pacific Region. Paper presented at the 5th Taiwan-Japan Dialogue for the New Era Conference, November 19, 2011. Hosted by the Prospect Foundation, Ambassador Hotel, Taipei, Taiwan. Yann-huei Song (2011). Possibility of U.S. Accession to the LOS Convention and Its Potential Impact on State Practices and Maritime Claims in the South China Sea. Paper presented at the International Conference on Major Law and Policy Issues in the South China Sea: European and American Perspectives, October 7-8, 2011. Institute of European and American Studies, Academia Sinica, Taipei, Taiwan. Yann-huei Song (2011). Sovereignty and Maritime Disputes in the East China Sea: the Law of the Sea Convention and Conflicting Claims by China, Japan and Taiwan. Paper presentation at the International Seminar on Sea and Peace in East Asia, June 29-30, 2011, Society of Ieodo Research and the Korea Times, Soul, Korea. Yann-huei Song (2010). “The Declaration on the Conduct of Parties and a Code of Conduct in the South China Sea: Recent Actions Taken by ASEAN.” Paper presented at the 2010 CAPAS-VASS International Conference on ASEAN External Relations, December 3, 2010, Conference Room 3, Institute of Ethnology Building, Academia Sinica, Taipei, Taiwan. Yann-huei Song (2010). “The Study of Marine Biodiversity in the South China Sea: Joint Efforts Made in the SCS Workshop Process.” Paper presented at the Second International Workshop on the South China Sea: Cooperation for Regional Security and Development, 11-12 November 2010, Ho Chi Minh City, Vietnam. Yann-huei Song (2010). “Taiwan’s Participation in Global Ocean Governance: A Way Forward.” Paper presented at the Law of the Sea Institute Conference “Institutions and Regions in Ocean Governance. International Tribunal for the Law of the Sea facility, Hamburg, Germany, October 4-6, 2010. Yann-huei Song (2010). “The Application of Article 121 of the Law of the Sea Convention to the Selected Geographical Features Situated in the Pacific Ocean.” Paper presented at International Symposium on Scientific and Legal Aspects of the Regimes of the Continental Shelf and the Area, Beijing, China, May 27-28, 2010. Yann-huei Song (2005). 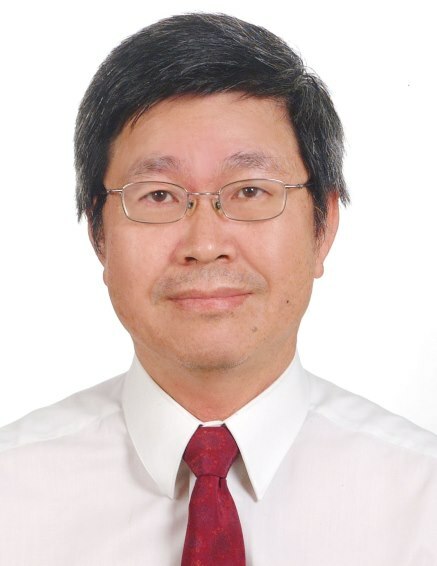 “The International Tribunal for the Law of the Sea and the Possibility of Judicial Settlement of Fisheries Disputes Involving Fishing Entity Taiwan: Taking CCSBT as an Example.” Paper presented at The International Conference on a Decade’s Practice of the Concept of Fishing Entities in International Law. June 29-30, 2005. Taipei, Taiwan. Center for Marine Policy Studies, NSYSU. Yann-huei Song (2005). “Declarations and Statements with Respect to the 1982 UNCLOS: Potential Legal Disputes Between the United States and China after U.S. Accession to the Convention.” Paper presented to the 2005 American Law School Association. January 6-8, 2005. San Francisco, U.S.A.
Yann-huei Song (2004). “The M/V Amorgos Oil Spill Incident: Taiwan’s Compensation Claims for Ecosystem Damage and Economic Loss.” Paper presented at The Fifth APEC Roundtable Meeting on The Involvement of the Business/Private Sector in The Sustainability of the Marine Environment. November 4-6, 2004. Kaohsiung, Chinese Taipei. Yann-huei Song (2004). “An Overview of Regional Responses in the Asia-Pacific to the PSI.” Paper presented at CSCAP Maritime Cooperation Working Group Meeting. CSCAP. May 26-27, 2004. Hanoi, Vietnam. Yann-huei Song (2004). “PSI and National Responses in the Asia- Pacific.” Paper presented at The 6th ASEAN-ISIS/IIR Taiwan Dialogue. February 14-15, 2004. Manila, Philippines. Yann-huei Song (2003).“Cross-Strait Relations on the South China Sea Issues: A Need for CBMs,” paper presented at International Conference on Converting Confrontation into Cooperation: In Search of Working Peace across the Taiwan Strait, Ambassador Hotel, Taipei December 8, 2003. Yann-huei Song (2003).“WMD Threat, the PSI and National Responses in Northeast Asia,” paper presented at 3rd Global Forum Taiwan-Japan Dialogue, Tokyo, Japan, October 24, 2003. Yann-huei Song (2002). “The Concepts of Human Security and Non-Traditional Security: A Comparison,” paper presented at the Human Security Conference, Dec. 16, 2002, Howard Plaza Hotel. Yann-huei Song (2002). “The Signing of the SCS Declaration on Conduct of Parties and Its Implications: Taiwan`s Perspective,” paper presented at the CSCAP Working Group on Maritime Cooperation, Dec. 10-11, 2002, Singapore. Yann-huei Song (2002). “Regional Fisheries Management Organizations and Ocean Law: A Perspective from Taiwan,” paper presented at Ocean Law Conference, School of Law, April 5-6, 2002, University of California, Berkeley. Yann-huei Song (2001). “The European Union, the United States, and the Kyoto Protocol: A Comparative Study of Climate Change Policy,” paper presented at “ECSA Seventh Biennial International Conference,” May 31-June 2, 2001, Monona Terrace Community & Convention Center, Madison, Wisconsin, USA. Yann-huei Song (2000). “The PRC`s Peacetime Military Activities in Taiwan`s EEZ: A Question of Legality,” paper presented at the Peace Forum, Taiwan Security in the Year 2000: Retrospect and Prospects, December 15, 2000, Taiwan Research Institute. Taipei, Taiwan. Yann-huei Song (2000). “U.S. Policy for Greenhouse Gases Reduction: An Overview,” paper presented at 2000 Taipei Conference on Policies for Greenhouse Gases Reduction and Pollution Control in Asia-Pacific, November 30-December 2, 2000, Institute of Economics, Academia Sinica, Taipei, Taiwan. Yann-huei Song (2000). “Fisheries Disputes and Conflict Management in the South China Sea: Codes of Conduct and Taiwan`s Participation.” Paper presented at the Asia-Pacific Security Forum, 2000 Roundtable: Conflict and Crisis Management in the Asia-Pacific Area of the New Century, September 7-8, 2000 French Institute of International Relations, Paris, France. Yann-huei Song (2000). “Confidence Building Measures and Conflict Management: U.S. Approaches to Resolving Disputes in the South china Sea,” paper presented at the Conference on Human and Regional Security around the South China Sea, June 2-4, 2000, University of Oslo, Oslo, Norway. Yann-huei Song (1999). “A Survey of Acceptance of the Selected International Maritime Instruments by Member Countries of CSCAP,” pp. 63-75 in Proceedings of the 6th Meeting of CSCAP Maritime Cooperation Working Group. (Objectives and Principles of Good Governance: The Contribution to Regional Security). Hanoi: Institute for International Relations, CSCAP Vietnam. Yann-huei Song (1995). “The South China Sea and Asia-Pacific Security: The PRC`s Threat?”Paper presented at International Conference on Asia-Pacific Collective Security in the Post-Cold War Era. Institute for National Policy Research. April 12-14, 1995, The Grand Hotel, Taipei. Yann-huei Song (1994). “The Issue of Historic Waters in the South China Sea Territorial Dispute,” paper presented at South China Sea Conference. American Enterprise Institute. September 7-9, 1994. Washington. D.C.
Yann-huei Song (2017). “U.S. Practice Regarding Article 121(3) of UNCLOS and the South China Sea Arbitration Case,” in Chinese (Taiwan) Yearbook of International Law and Affairs, edited by Ying-jeou Ma, and published by Brill Nijhoff. (pp. 21-61). Yann-huei Song (2016). “The South China Sea Arbitration Case Filed by the Philippines against China: Arguments concerning Submerged Features, Low tide Elevations and Islands,” in Arbitration Concerning the South China Sea: Philippines versus China, edited by Shicun Wu and Keyuan Zou, and published by Routledge. Ch. 10. Yann-huei Song (2016). “The South China Sea Dispute in U.S. ASEAN Relations,” in The South China Sea Dispute: Navigating Diplomatic and Strategic Tensions edit by Ian Storey and Cheng-Yi Lin, and published by ISEAS, Singapore. Ch 11. Yann-huei Song (2015). “Maritime Asia: A Taiwanese Perspective,” in The Changing Maritime Scene in Asia: Rising Tensions and Future Strategic Stability, edited by Geoffrey Till and published by Palgrave Palgrave Macmillan, Basingstoke, Hampshire. Ch. 10. Yann-huei Song (2013). “The Role of Taiwan in Global Ocean Governance,” in Regions, Institutions, and Law of the Sea 2013: Studies in Ocean Governance, edited by Harry N. Scheiber and Jin-Hyun Paik. Pp. 293-309. Martinus Hijhoff Publishers. Yann-huei Song (2013). “Application of Article 121(3) of the Law of the Sea Convention to the Disputed Offshore Islands in East Asia: A Tribute to Judge Choon-ho Park,” in Governing Ocean Resources: New Challenges and Emerging Regimes: A Tribute to Judge Choon-Ho Park, edited by Jon Van Dyke, Sherry Broder and Seokwoo Lee and published by Brill/Martinus Nijhoff Publishers, Leiden and Boston, pp. 61-98. Yann-huei Song (2012). “Taiwan’s Participation in the SCS Regional Dialogue Mechanisms: What Actions Should Be Taken by the Ma Administration,” in Prospects and Perspectives 2011, edited by Kuang-chung Liu. pp. 95-101. Prospect Foundation. Yann-huei Song (2003). “Regional Fisheries Management Organizations and Ocean Law: A Perspective from Taiwan” in Bringing the New Law to Ocean Waters, edited by David D.Caron and Harry S. Scheiber. Kluwer Law International. September 2004. Yann-huei Song (2000). “One China But Two Sets of Maritime Legislation: Developments, Implications, and Challenges for the United States,” pp. 209-247 in Law of the Sea: The Common Heritage and Emerging Challenges, edited by Harry S. Scheiber. The Hague, Netherlands: Kluwer Law International. Yann-huei Song (2000). “U.S. Policy and Multilateral Approaches to Resolving the South China Sea Disputes,” Integrated Coastal Zone Management, 2nd edition. Yann-huei Song (2000). “The Second Decade of the Taiwan Relations Act: U.S. Congressional Involvement in the Implementation of the Law,” pp. 67-90 in United States-Taiwan Relations: Twenty Years after the Taiwan Relations Act , edited by Jaw-Ling Joanne Change and William W. Boyer. Baltimore: University of Maryland School of Law. Yann-huei Song & Keyuan Zou (2014). Major Law and Policy Issues in the South China Sea: European and America Perspectives. Ashgate Publishing. Yann-huei Song (May 2011). “The Application of Article 121 of the Law of the Sea Convention to the Selected Geographical Features Situated in the Pacific Ocean”, in Technical and Legal Aspects of the Regimes of the Continental Shelf and the Area, edited by Zhiguo Gao, Haiwen Zhang, Haisheng Zhang and Jiabiao Li, pp. 42-99. Ocean Law and Policy Research Series No. 216. Beijing: China Ocean Press. Kathryn J. Mengerink, Harry N. Scheiber, and Yann-huei Song (2010). Japanese Policies, Ocean Law, and the Tuna Fisheries: Sustainability Goals, the IUU Issue, and Overcapacity. Ch. 17, in Conservation & Management of Transnational Tuna Fisheries, edited by Robin Allen, James Joseph&Deles Squires (Wiley-Blackwell, 2010), pp. 283-320. Yann-huei Song (2009). Okinotorishima: A “Rock” or an “Island”? Recent Maritime Boundary Controversy between Japan and Taiwan/China. In Maritime Boundary Disputes, Settlement Processes, and the Law of the Sea, edited by Seoung-Yong Hong and Jon M. Van Dyke. Leiden and Boston: Martinus Nijhoff, pp. 145-176. Yann-huei Song (2009). Regional Maritime Security Initiative (RMSI) and Enhancing Security in the Straits of Malacca: Littoral States’ and Regional Responses. In Maritime Security in the South China Sea: Regional Implications and International Cooperation, edited by Shicun Wu and Keyuan Zou. Farnharm, England and Burlington, USA: Ashgate Publishing Company. pp. 109-134. Yann-huei Song (2011). Sovereignty and Maritime Disputes in the East China Sea: the Law of the Sea Convention and Conflicting Claims by China, Japan and Taiwan. Paper presented at the International Seminar on Sea and Peace in East Asia, June 29-30, 2011, Society of Ieodo Research and the Korea Times, Seoul, Korea. Yann-huei Song (2010). The Declaration on the Conduct of Parties and a Code of Conduct in the South China Sea: Recent Actions Taken by ASEAN. Paper presented at the 2010 CAPAS-VASS International Conference on ASEAN External Relations, December 3, 2010, Conference Room 3, Institute of Ethnology Building, Academia Sinica, Taipei, Taiwan. Yann-huei Song (2010). The Study on Marine Biodiversity in the South China Sea: Joint Efforts Made in the SCS Workshop Process. Paper presented at the Second International Workshop on the South China Sea: Cooperation for Regional Security and Development, 11-12 November 2010, Ho Chi Minh City, Vietnam. Yann-huei Song (2010). Taiwan’s Participation in Global Ocean Governance: A Way Forward. Paper presented at the Law of the Sea Institute Conference “Institutions and Regions in Ocean Governance. International Tribunal for the Law of the Sea facility, Hamburg, Germany, October 4-6, 2010. Yann-huei Song (2010). The Application of Article 121 of the Law of the Sea Convention to the Selected Geographical Features Situated in the Pacific Ocean. Paper presented at International Symposium on Scientific and Legal Aspects of the Regimes of the Continental Shelf and the Area, Beijing, China, May 27-28, 2010. Yann-huei Song (2009). The Application of Article 121 of the Law of the Sea Convention to the Disputed Offshore Islands in East Asia -- A Tribute to Judge Choon-ho Park. Paper presented at the Fourth Inha University – Law of the Sea Institute Conference on the Law of the Sea and Ocean Policy, University of Hawaii, Honolulu, Hawaii, USA, August 26-29, 2009. Yann-huei Song (2009). “The Application of Article 121 of the Law of the Sea Convention to the Disputed Offshore Islands in East Asia -- A Tribute to Judge Choon-ho Park”, paper presented at the Fourth Inha University – Law of the Sea Institute Conference on the Law of the Sea and Ocean Policy, Honolulu, Hawaii, USA: University of Hawaii, 2009-08-26 ~ 2009-08-29. Yann-huei Song (2007). “Prompt Release of Fishing Vessels: The Hoshinmaru and Tomimaru Cases (Japan v. Russian Federation) and The Implications for Taiwan”, paper presented at the Annual Meeting of Taiwan Society of Law, Taipei: Schools of Social Sciences and Law, National Taiwan University, 2007-12-01. Yann-huei Song (2007). “The Efforts of ICCAT to Combat IUU Fishing: Japan’s Push and Taiwan’s Response in Conserving and Managing Tuna Resources”, paper presented at The International Symposium on Transborder Environmental and Natural Resource Management, Kyoto, Japan: The Kyoto University, 2007-12-05 ~ 2007-12-07. Yann-huei Song (2006). Okinotorishima: A “Rock” or an “Island”? Recent Maritime Boundary Controversy between Japan and Taiwan/China. Paper presented at the International Conference : Towards a Framework for the New Order of the Sea. Korea. UNHA University, Korea, Law of the Sea Institute, UC Berkeley, USA. October 24-25, 2006. Yann-huei Song (2006). Energy and Resources Competition among China, Japan and the United States. Paper presented at the Conference on the Asia Pacific Security: A Strategic Outlook. Philippines. Institute for National Policy Research (Taiwan). September 4-5, 2006. Yann-huei Song (2006). Regional Maritime Security Initiative (RMSI) and Enhancing Security in the Straits of Malacca: Littoral States’ and Regional Responses to the U.S. Proposal. Paper presented at the International Law Conference on “Global Legal Challenges: Command of the Commons, Strategic Communications, and Natural Disasters,” Naval War College, Newport, Rhode Islands, U.S.A. June 28-30, 2006. Yann-huei Song (2005). U.S.-led PSI and the UNCLOS: Questions concerning Legality, Implementation, and an Assessment of the Initiative. Paper presented at the International Workshop on the United states and the United Nations Convention on the Law of the Sea. December 2, 2005. Taipei, Taiwan. Institute of European and American Studies, Academia Sinica. Yann-huei Song (2005). The International Tribunal for the Law of the Sea and the Possibility of Judicial Settlement of Fisheries Disputes Involving Fishing Entity Taiwan: Taking CCSBT as an Example. Paper presented at The International Conference on a Decade’s Practice of the Concept of Fishing Entities in International Law. June 29-30, 2005. Taipei, Taiwan. Center for Marine Policy Studies, NSYSU. Yann-huei Song (2005). Declarations and Statements with Respect to the 1982 UNCLOS: Potential Legal Disputes between the United States and China after U.S. Accession to the Convention. Paper presented at the 2005 American Law School Association. January 6-8, 2005. San Francisco, U.S.A.
Yann-huei Song (2003). “Cross-Strait Relations on the South China Sea Issues: A Need for CBMs.” Paper presented at International Conference on Converting Confrontation into Cooperation: In Search of Working Peace across the Taiwan Strait, Ambassador Hotel, Taipei. December 8, 2003. Yann-huei Song (2003). “WMD Threat, the PSI and National Responses in Northeast Asia,” paper presented at 3rd Global Forum Taiwan-Japan Dialogue, Tokyo, Japan, October 24, 2003. Yann-huei Song (2003). “Acceptance of Selected International Maritime Instruments in the Asia-Pacific Region.” Paper presented at the 13th Meeting of the CSCAP Maritime Cooperation Working Group, Manila, the Philippines, 6-7 September 2003. Yann-huei Song (2002). “The Concepts of Human Security and Non-Traditional Security: A Comparison.” Paper presented at the Human Security Conference, Dec. 16, 2002, Howard Plaza Hotel. Yann-huei Song (2002). “The Signing of the SCS Declaration on Conduct of Parties and Its Implications: Taiwan’s Perspective.” Paper presented at the CSCAP Working Group on Maritime Cooperation, Dec. 10-11, 2002, Singapore. Yann-huei Song (2002). “Regional Fisheries Management Organizations and Ocean Law: A Perspective from Taiwan.” Paper presented at Ocean Law Conference, School of Law, April 5-6, 2002, University of California, Berkeley. Yann-huei Song (2002). The United States and the South China Sea Dispute: A Study of Ocean Law and Policy . University of Maryland School of Law. Yann-huei Song (1999). Managing Potential Conflicts in the South China Sea: Taiwan`s Perspective . EAI Occasional Paper No. 14. East Asian Institute. National University of Singapore. Singapore University Press.